Somewhere Jay Onrait is probably screaming. Why? Instead of this being a post of me straight-up fangirling over Bobbo, I will provide my opinion and analysis of the selection. First, we need to take a look at all three Vezina Finalists: Sharks’ Antti Niemi, Rangers’ Henrik Lundqvist, and Blue Jackets’ Sergei Bobrovsky. 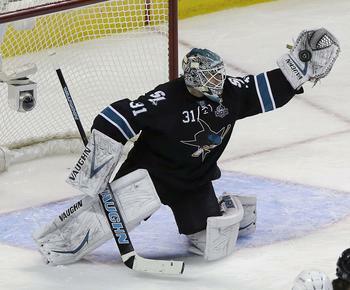 Niemi had what I like to call a “quietly stellar” season. His performances were not full of highlight reel saves, despite his flashy and unique style. Niemi’s stats alone warranted his name on the list of the top three in the league. Nemo finished the regular season with a 2.16 GAA, .924 Sv%, and 4 shutouts in 43 games. 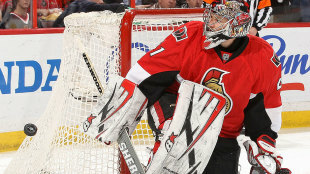 His numbers placed him 7th in GAA among goaltenders with at least 25 games played, and 6th in Sv% by the same metrics. Statistically speaking, however, Niemi was the weakest of the three candidates. Personally speaking, I do not use statistics as the foundation for accolades, though they do help paint a picture of a goaltender’s skill. Niemi received his Vezina nod due to his ability to steal games, play consistently, and shoulder a great deal of the game load for the Sharks, helping them secure a playoff spot yet again. 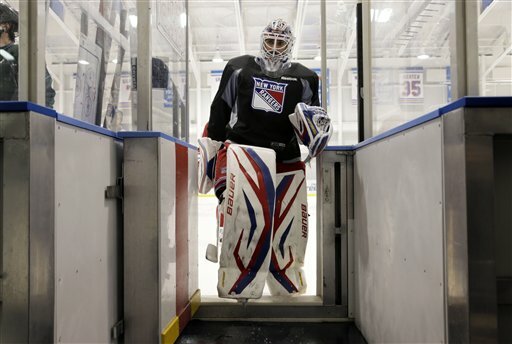 King Henrik is known for his athletic ability and unbelievable saves. Better yet, he is known for keeping the perennially offensively stagnant Rangers in most games. He is flashy, he is exciting, and sometimes irritating. Lundqvist’s stats are just a hair ahead of Niemi, as he posted a 2.05 GAA and .926 Sv% in the regular season. Among goaltenders who played a minimum of 25 games, Lundqvist finished 4th in both GAA and Sv%. In my opinion, Henrik’s performance this regular season was typical for the 2011-2012 Vezina winner: solid, consistent-ish, and markedly better than a majority of his team. While I am unaware of the final tally of votes for the Vezina, I have a feeling it was a tight race between Lundqvist and Bobrovsky. Before I discuss Bobrovsky, I should take a moment to explain why Craig Anderson, an early favorite for the award of NHL’s top netminder, was not a finalist. Simply put, Anderson did not play enough games. In a 48 game season, Anderson only managed to play in 24 games, largely due to injury. It is almost unheard of for a goaltender to receive a Vezina nod after playing only about 50% of the season. Look at 2011-2012 Jennings Trophy winners Halak and Elliott; the two goaltenders 46 and 38 games respectively in an 82 game season. Their stats and performances would have likely earned them a nod for the Vezina last year had they played 55+ games. Basically, half a season, no matter how short that season may be, is not enough of a body of work for a goaltender to be in the running for the Vezina. Now to Bobrovsky. The CBJ tender posted an impressive 2.00 GAA and .932 Sv% and 4 shutouts in 38 games (the first 4 shutouts of his NHL career). Taking a look at the stats for goaltenders who played a minimum of 25 games this season, Bobrovsky tops the list in Sv%, and is beaten only by Corey Crawford on the GAA leader board. Many may say that Bobrovsky (21-11-6) single-handedly helped CBJ battle beyond the final buzzer of the season to make it to the playoffs for the first time since 2008-2009. While this is clearly an arguable statement, I do believe that Bobrovsky’s performances and statistics are not indicative of a 9th place team’s goaltender. Like NYR, the Blue Jackets had more than their fair share of scoring woes this season. 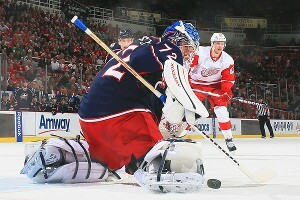 Bobrovsky bailed them out game after game, and stole a few wins and a few OT points for the Jackets. Aside from being the number one goaltender for a team that failed to make the post-season (an exceptionally rare identifier), Bobrovsky is also the first Russian-born winner of the Vezina Trophy. Bobrovsky’s contract talks have stagnated with the Blue Jackets. A Vezina award should put more pressure on the Jackets to re-sign him, and it is a key tool for his agent in negotiations. Bobrovsky is a Restricted Free Agent. 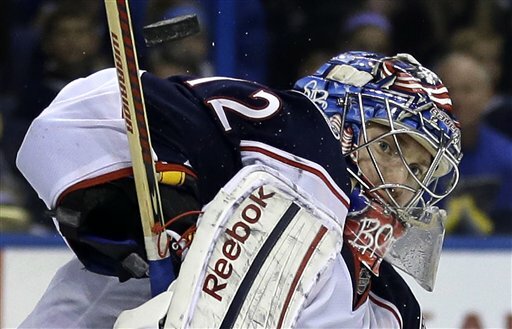 The Columbus Blue Jackets, should they re-sign Bobrovsky, are heading in a positive direction. John Davidson and Jarmo Kekäläinen are working their magic and building an impressive core of players who seem to buy into systems and philosophies of head coach Todd Richards. Bobrovsky is a cog in the CBJ machine, and an important one at that. I have always been an advocate of building a team from the net out, and a Vezina winner between the pipes for CBJ will help the team develop into not only a playoff contender, but perhaps even Stanley Cup Champions. Number 72 on the roster, number 1 in your hearts! This entry was posted in Columbus Blue Jackets and tagged Annti Niemi, Bobrovsky, Columbus Blue Jackets, Craig Anderson, goaltender, Henrik Lundqvist, Sergei Bobrovsky, Vezina. Bookmark the permalink.